Most of the Windows 10 upgrades I have done so far have gone quite smoothly. However, I did run into an upgrade issue with a customer the other day. Here is what would happen. I would download Windows 10 and it would begin its upgrade process. After Windows 10 got to about 99% installed the installation would reboot. 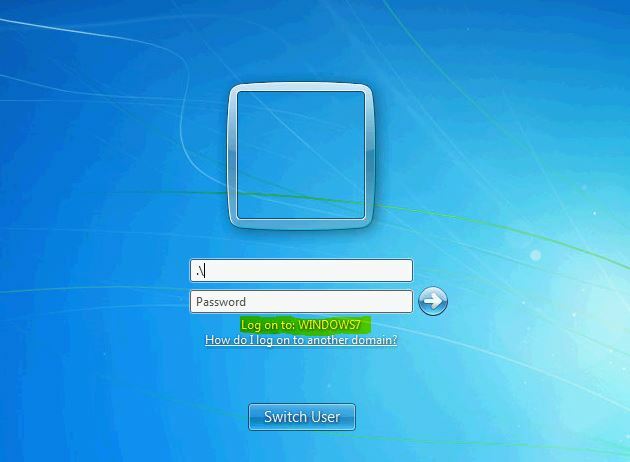 After the reboot, the screen would go black for a bit and then revert back to the previous operating system, Windows 7. Windows would then display error code 8007002C-4000D. Another technician looked at the problem first so I will list the steps he tried. After the above steps were completed, the computer still returned error code 8007002C-4000D. I decided to take a look at the issue. I decided to “Google” the issue first to see if anyone else had a fix for this problem. I found this Microsoft forum full of people having this issue. I scanned over the thread and found a general consensus that it seemed to be a software giving us upgrade problems. Here are the steps I tried. I uninstalled Avast and Covenant Eyes software. I ran system file checker sfc /scannow . System file checker didn’t find anything amiss. Next I ran msconfig and went to the startup tab. Under the startup tab I removed all software from starting up. I began the Windows 10 upgrade. Much to my relief and happiness the Windows 10 upgrade was successful. Conclusion: From the troubleshooting things I tried, I believe unchecking all software from startup is what fixed this issue. Previously, Windows 10 would almost install but after the reboot the software would try starting up. One of the software items I unchecked must have been giving me my issues. I hope these troubleshooting tips can help you out. Please leave a comment if you have trouble upgrading your computer to Windows 10 as well. This entry was posted in Main Menu, Troubleshooting and tagged 8007002C-4000D, Windows 10, Windows 10 Upgrade, Windows 7 on September 4, 2015 by Merlin Halteman. I ran into this bizarre issue today. A customer called and said two of their computers could not email out of QuickBooks 2013 using Outlook 2013. Both computers were running Windows 7 Professional 64bit. I connected to one of the troublesome computers and sure enough, I browsed to Edit > Preferences > Send Form. Under Send Form they had the Web Mail and QuickBooks E-mail options but the Outlook option was mysteriously missing. So I rolled up my sleeves and went to work on it. After about five or six hours of troubleshooting this issue I finally was able to get the problem resolved. I was on the phone with a QuickBooks rep for over two hours and he didn’t know the answer to the issue either. Here are some of the troubleshooting steps I went through before I found the solution. I will include links at the bottom of my article for some of the websites I visited trying to find a solution. I. I made sure Outlook 2013 was a supported version in QuickBooks 2013. II. Made Sure Outlook was the default mail program. III. Set the default email program in Internet Explorer. IV. Made sure their was a Mail profile in Outlook. I also created a new Outlook profile just in case that was the issue. It wasn’t. V. I ran a repair on Office 2013 and QuickBooks 2013. This entry was posted in Troubleshooting and tagged Enterprise, Microsoft Office, Outlook 2013, QuickBooks, QuickBooks 2013, Quickbooks 2015, Windows 7 on March 4, 2015 by Merlin Halteman. Problem: Recently, I had the privilege to work on a computer, that according to the customer was always running out of space. That surprised me because the computer had a Samsung 750GB EVO SSD. The computer was a Lenovo ThinkCentre A70z running Windows 7. We had upgraded the computer from a traditional hard drive to a SSD a year ago and I was sure they had plenty of space. I decided to dig into the issue and find out what the problem was. I noticed right away using Windows Explorer that drive C had around 75GB of free space. I browsed to C:\Users\<username>. I right-clicked on their user folder and selected the general tab. Underneath the general tab I saw their user account was using only 80GB-90GB of space. I thought this was odd. I then downloaded my trusty WinDirStat utility. I ran the tool and left it scan the folders on the computer. What I saw was quite puzzling. WinDirStat said there was only 180GB of the SSD used. However, when I went under “Computer” using Windows Explorer I showed approximately 600GB of space being used. I decided to do a Disk cleanup on the SSD. The disk cleanup utility found 5.5GB of unnecessary files. I cleaned the computer but that didn’t account for the extra 400GB of files lurking somewhere on the SSD. Thinking there may have been something weird with the Samsung SSD, I downloaded and installed the Samsung Magician Software. I ran the program and everything indicated that the SSD was in excellent condition. Solution: I decided to try one more disk analyzer tool for Windows 7. I downloaded SpaceSniffer. Not having real high hopes, I ran the program and I instantly saw two huge files lurking on the hard drive. I noticed they were stored under a C:\RRbackups\SZ\<folder>. I tried to browse to the RRbackups folder but I got an “access denied” message. I entered the whole file path location in Windows Explorer and I was able to find the backup folders. There were a couple folders. This entry was posted in Troubleshooting and tagged Lenovo, RRbackups, SpaceSniffer, SSD, Windows 7 on February 7, 2015 by Merlin Halteman. Problem: Customer tried to open a Word document and a PDF file he had created a while ago. Windows Explorer gave the an error, “file name is too long” when he tried to open his document. After a little digging around I found a solution to this problem. Windows 7 has a 256-260 character file/path limit. The file didn’t have a longer name than 256 characters, but the file was buried underneath many folders with big names. I tried to right-click the file and select rename but I didn’t have that option. I couldn’t copy or cut the file to another location. Resolution: Go one folder above where your document is stored. Rename that folder to something shorter (ex. name it one ). This should allow you to open the Word document now. Now change the Word file to a shorter name. Change the folder back to the original name. Check if you can still open your Word file. If you can still open the file, then you’re good! If you can’t open the file yet, move the folder to another location. If you want to keep the file name of the document and the folder the same you should store the Word file in another location perhaps to your desktop or make a separate folder for the file. Summary: In my situation, the customer had too many levels of folders with long names and spaces. The Word and PDF file he was trying to open had a big file name as well. Windows Explorer couldn’t handle long folder names and paths it gave the error, “file name is too long”. Let me know if this helped you out by posting in the comments. This entry was posted in Troubleshooting and tagged Microsoft Word, Windows 7, Windows Explorer on January 9, 2015 by Merlin Halteman.